In Denmark, we have three ways of doing esports. I’ll walk you through each one – it might be of inspiration to you and others.. 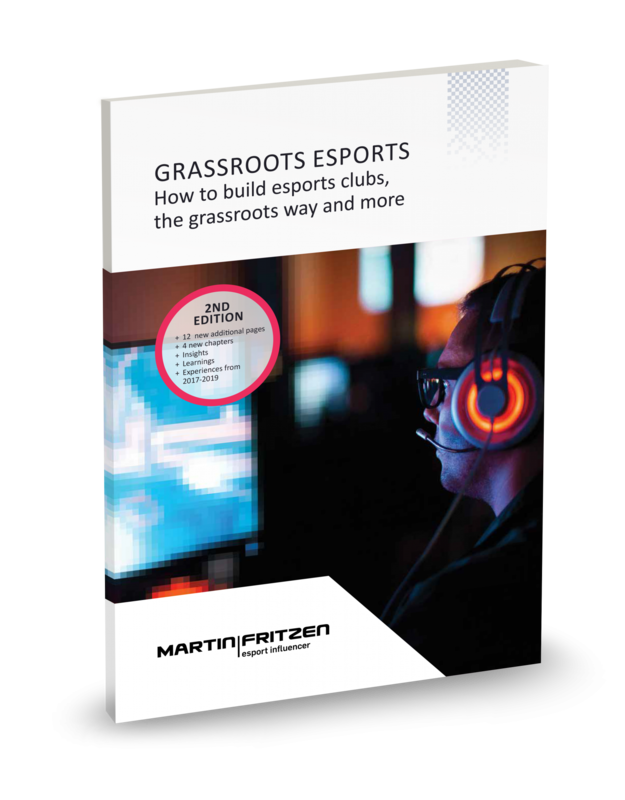 This kind of esports is the “easy” kind; venture capitalists (VCs), businesses, brands and/or individual founders and business owners, join competencies, experience and capital, and create an esports organization. It typically contains at least one esports team, sometimes more. They form a new business and build a strong brand. They pay for the top players, coaches, trainers and managers. With some of the best players, they can win big tournaments, and prize pools, thus building a better brand while also gaining media coverage of the team –resulting in selling team merchandise. This is seen in Denmark with RFRSH Entertainment, who works with their brands Astralis, Origin and Blast Pro Series. It’s the same kind of business model that Nigel Martin-Smith used when he built the band Take That. You find great talent, you offer them a professional career, and you provide them with great training and performance plans. Then you start executing — build success and improve brand value (and make some money in the long run, by selling tickets, merch and media rights). Esports is all about strategy, skills, communication and reaction. And like the very best of other competitive sports on a world class level, it’s an extraordinary, fun, engaging and action-packed entertainment product. At RFRSH Entertainment they build the best teams and most engaging tournament formats on par with the very best sports: fast-paced, breathtaking, and packed with dramatic peaks worthy of replay and online glory. With many financial resources, you have the advantage to be able to pay for great talent, coaches and trainers, and thus, providing great training and travel experiences. One disadvantage to the commercial method is that it takes a lot (a lot) of money and can be hard to build/manufacture a team bond and spirit. It can be difficult to create the cult fan base culture, around the “cold and capitalistic” brand (but possible).